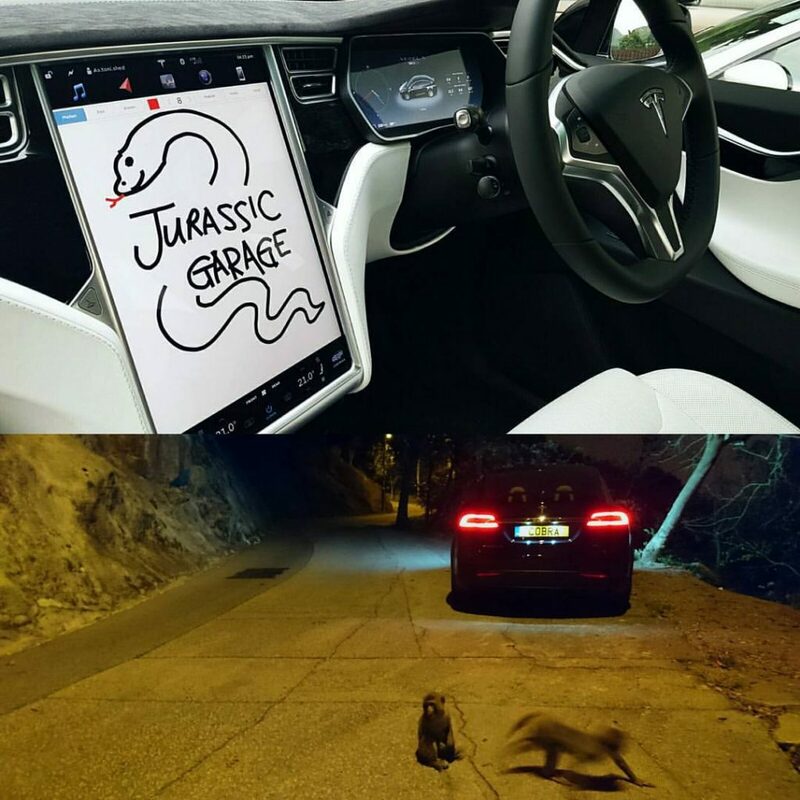 Jurassic Garage is named after the scene where all the prehistoric critters gather in our garage before being driven to an event. We are best known by how we present the animals or how we take care of them. But driving around with our animals is also a large part of work. 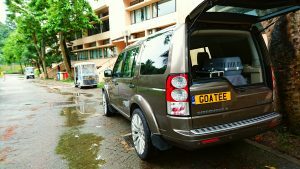 You may think any vehicles that are spacious enough to fit in the animals can do the job. Probably you have not seen animals get overheated, car sick and vomit, let alone the aftermath in case of a crash. Fortunately we have not experienced any of these. Safety – The safest SUV ever with 5 stars in every category. Green – Zero emission and no fossil fuels, as everyone knows. Speed – Faster than most sports cars but smooth, stable and safe. Low key – Yes, we are trying to stay low key throughout the decade! This is interesting. “Exposure is key to success” is not really for us. The more attention from strangers the more potential risks to our not-so-common animals. 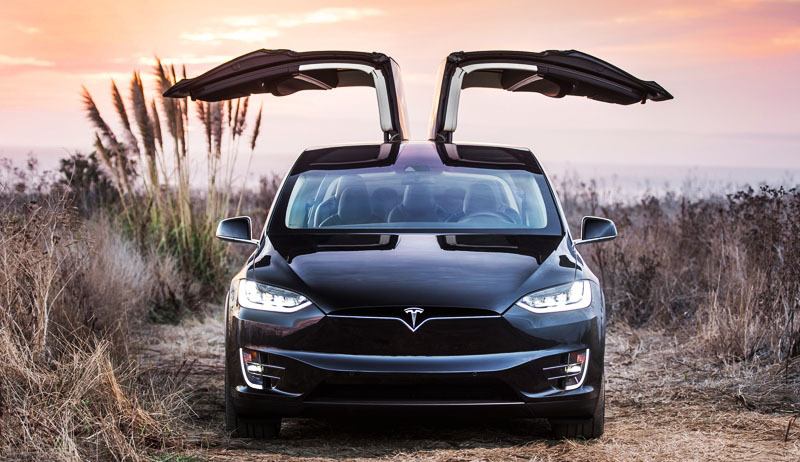 Our Model X is blacked out. No zoo logo on it. Probably not elsewhere, but Tesla in Hong Kong will just not draw any attention. Animals can have a tranquil journey. Comfort – Excellent ride quality is basic. What makes it matchless is temperature control from mobile phones. 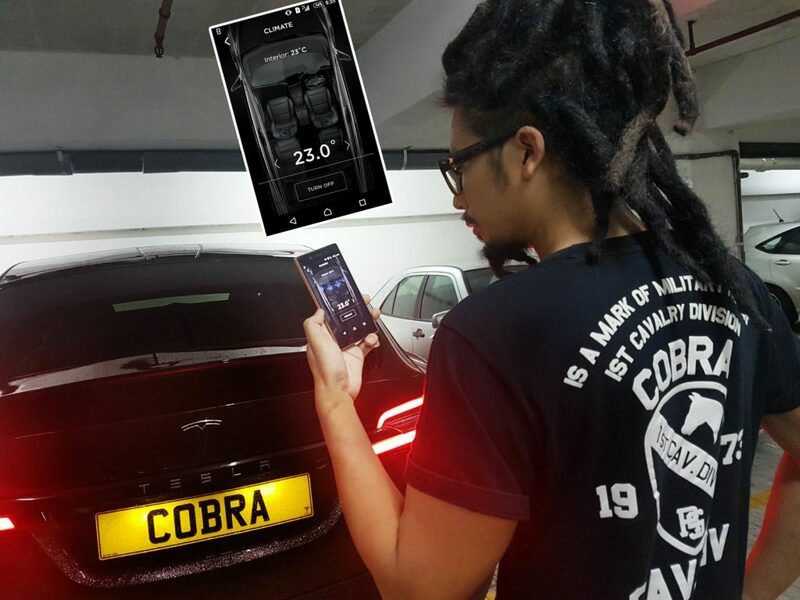 Tesla is so far the only cars that you can turn AC on/off in the app while car is parked. When we have to leave animals in the car for a little while we can keep track of the interior temperature to make sure it won’t get overheated. 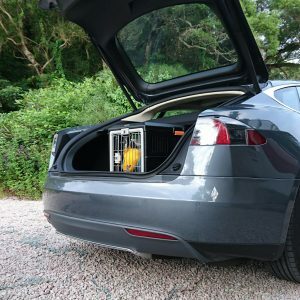 This feature makes it safe to say don’t leave your dog in the car unless it’s a Tesla. Things to prepare for driving with our animals is much more than bringing a dog to a park on a Sunday morning. A noisy, vibrating and bumpy ride is stress. But a nice ride is an enjoyable journey for the animals to see new things. From now on, the X becomes the main Animobile of Jurassic Garage. Meanwhile, other Animobiles of Jurassic Garage. We can’t wait to drive our 5 star animals to your 5 star place in a 5 star car!